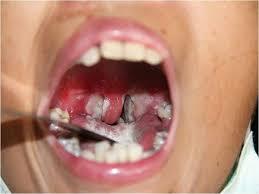 Diphtheria is a bacterial infection that affects the membranes of the throat and nose. Although it spreads easily, diphtheria can be prevented through the use of vaccines. If left untreated, diphtheria can cause severe damage to your kidneys, nervous system, and heart. According to the Mayo Clinic, diphtheria is fatal in about 10 percent of cases. With the use of antibiotics and vaccines, diphtheria is not only treatable, but preventable as well. The vaccine for diphtheria is given in a single shot (along with vaccines for pertussis and tetanus) that is called DTaP. The DTaP vaccine is administered in a series at 2, 4, and 6 months of age, and then again at around 1 and 4 years of age. In rare cases, a child might have an allergic reaction to the vaccine. This can result in seizures or hives that later go away. The state of child health in Singapore from 1914 to the present is chronicled. In 1914, there were 225 reported cases of tetanus neonatorum out of 7,420 births and 340 deaths from gastroenteritis with an infant mortality rate (IMR) of 292.9 per 1000 live births. In 1936 the infant mortality rate was 167.74, and in 1962, it was still high at 31.2, a figure which exceeded the IMR of USA, UK, Australia and New Zealand. However, by 1976, the IMR had fallen to 11.8 which were lower than that of the above countries and the neonatal mortality rate (NMR) was 8.4 which were also lower than the other four developed countries. In 1981, the IMR fell further still to 10.8 and the NMR was 7.7.